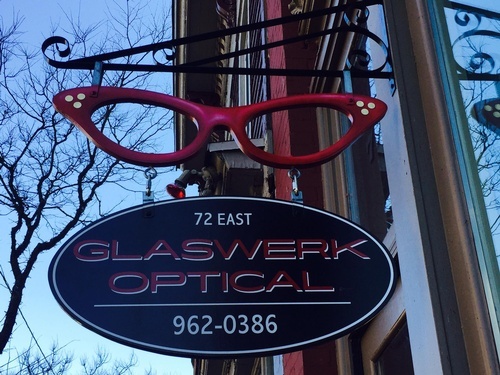 Welcome to GLASWERK Optical, Corning's independently-owned optical boutique. 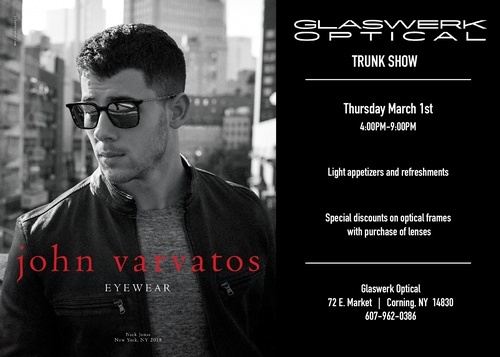 Marty Ennulat, a Southern Tier native and optician of 20 years is pleased to showcase the latest in high fashion eyewear. 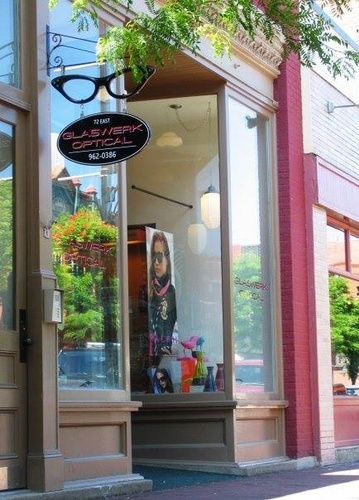 GLASWERK also provides thorough eye examinations and contact lens fittings by an independent doctor of optometry. At our practice we strive to provide the best possible care to our patients. Each of our staff members is professionally trained to assist you in making informed decisions about what products and procedures will best benefit you and your individual eye care needs. Our goal is to make your experience at GLASWERK nothing short of pleasurable, with friendly courteous care and the very best products available. We offer many services using the latest in computer assisted technology. You can find all our Contact Lens promotions under the ''Promotions'' page. Mention you saw us on the web and receive a free tint or scratch resistant coating on your next eyewear purchase. What forms of payment does your web site accept and is my information secure? We accept both Visa and Mastercard for orders placed on our web site. Each transaction is handled through our secure 128-bit encrypted server. Many vision plans are accepted at GLASWERK including Excellus Blue Cross Blue Shield. If we can't submit to your insurance directly we are happy to help you fill out the necessary forms and provide you with an itemized receipt.